The chair is made entirely from rift cut sycamore. Parachute cord in tension creates a comfortable back and seat while allowing the construction of the chair to hold the primary visual impact. 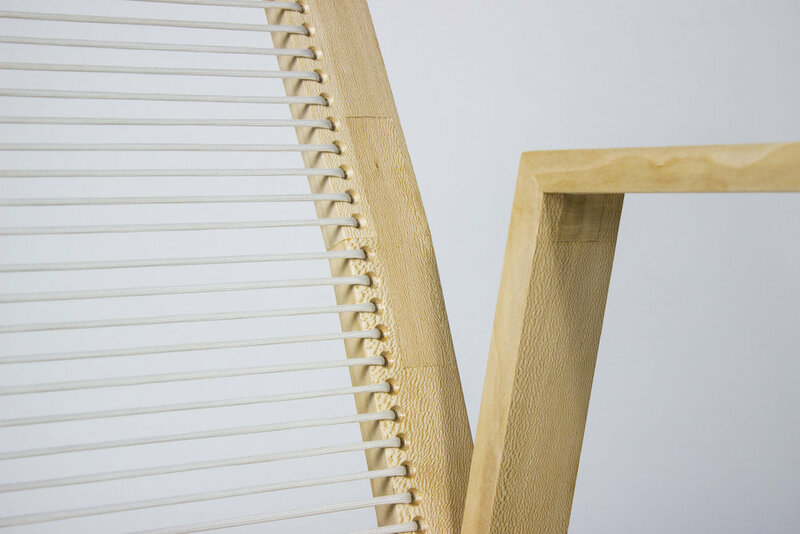 Consistency among individual parts creates a unified composition while showcasing joinery and proportion. 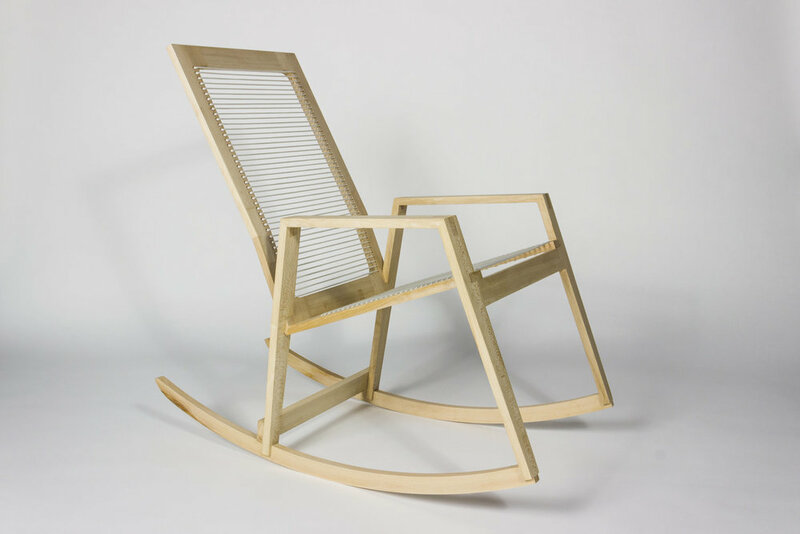 Building this chair was opportunity to explore the range of semantic possibilities within a strict utilitarian and functional set of constraints. With this artifact I hope to reward attention without commanding it. 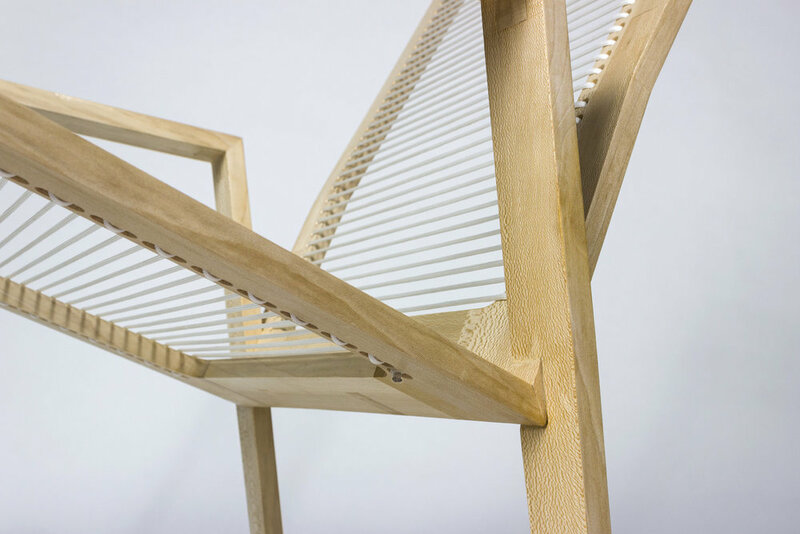 Made to mimic the subtle balance of trees in a forest, the dowels and the associated negative space activate as the viewer moves around the object. 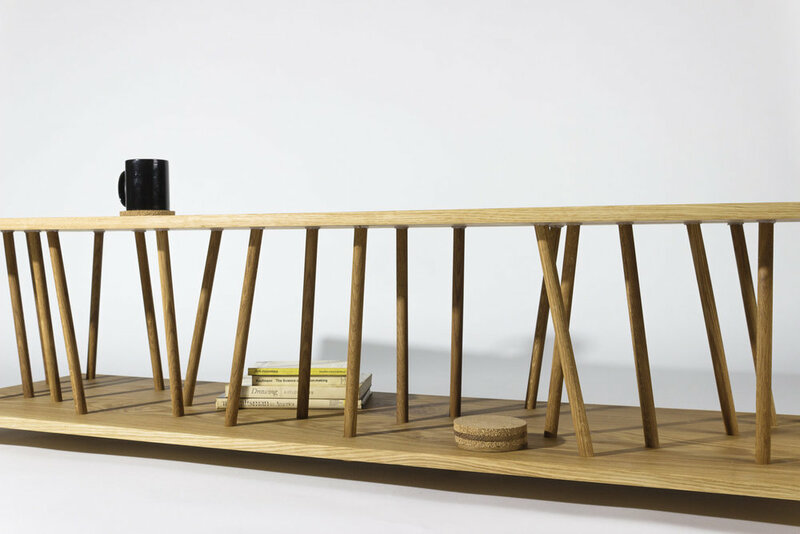 This dynamic quality balances with the plainness of the top and bottom of the table to create interest without novelty while maintaining functionality. Each experience in production better informs my design process. On this project I enjoyed a lack of driving dimensions, making good craft attainable with a mitigated risk of mistakes. 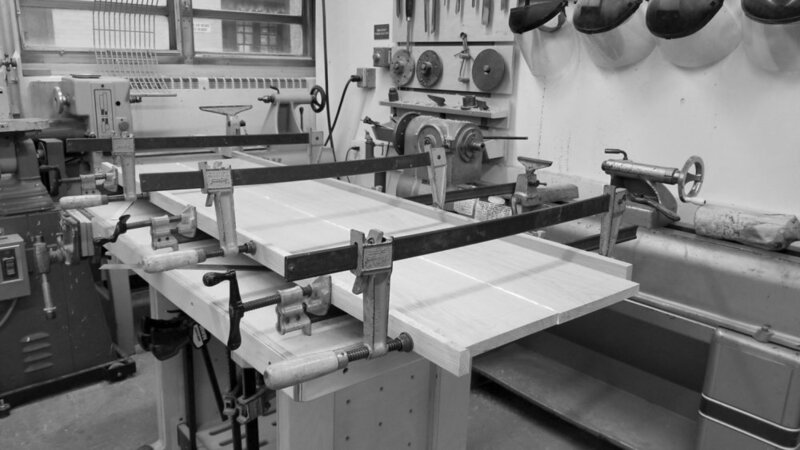 With an abstract idea and a half dozen jigs, this table was finished in about 5 days. These walnut bowls are from a tree I cut down with my grandfather in Smyrna, Tennessee. They were turned within the weeks immediately following the tree felling, reducing the risk of billets cracking by reducing the time the wood had to dry. After turning, they were wrapped in paper for several months to allow them to dry at a slow, controlled rate. This slower dry time, and thinner profile, insured the bowls would warp but not break. The asymmetrical shapes come from differences in the dry time of end grain and the dry time of face grain, as well as the amount of water each held when cut down. After the bowls had dried sufficiently the bottoms were smoothed and the oil was applied to stabilize the form. The bowls were finished with mineral oil, making them food safe and durable. The bowls are valid objects made from a raw material. I hope the subdued aesthetic, variation between pieces, and durability will give these bowls a long life. I made the bowls to gain exposure to all of the processes required in the synthesis of an object - from living tree to finished tool. Bowls, being simple objects made from a single piece of an accessible material, became a natural candidate. Through making these artifacts I learned a few of the advantages and many of the disadvantages of doing all steps yourself. More so, I gained an appreciation for all phases of the fabrication process. When the user first experiences the radio, he or she must spend time and attention to reveal how to use the product. After the riddle is solved, the radio's behavior is reliable and predictable. This establishes an immediate connection between the two parties that will continue to evolve. Over time, wear in the stone will reveal the usage patterns of the individual or community using the object most frequently, further establishing a connection between the object and the person receiving the utility.